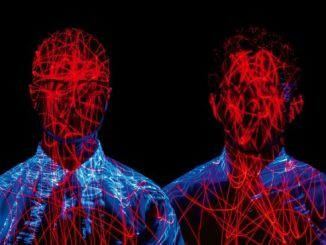 Electro-pop duo Monarchy are set to release new EP ‘Re|Vision’ on June 15th, alongside a headline show at Hoxton Bar & Kitchen on Thursday June 11th. Following on from their latest LP ‘Abnocto’, which came out in March, Andrew Armstrong and Ra Black are back with ‘Re|Vision’, a 10-track EP featuring reworkings of classic and new tracks, from the likes of Beck, Lana Del Ray, Phoenix, The Magic Numbers, Shura and more. The EP also opens with a remix of Monarchy original ‘Maybe I’m Crazy’ and features a guest appearance from Dita Von Teese on ‘Girls and Boys’ (Blur cover). The duo have an impressive track record when it comes to reworking tracks, having been commissioned to make remixes for some of the music industry’s biggest names, including Kelis, Ellie Goulding, Lady Gaga and Jamiroquai. Lead track, a cover of Beck’s ‘Lost Cause’, is available to stream now below. The product of a PledgeMusic campaign, whereby a Monarchy fan bought “Choose A Cover Version” on the album campaign, the track is almost unrecognizable from it’s original version; folky acoustic guitars have been transformed into a sparkling, infectious pop track. To celebrate the release of the EP, Monarchy are playing at a headline show at Hoxton bar & Kitchen on June 11th.